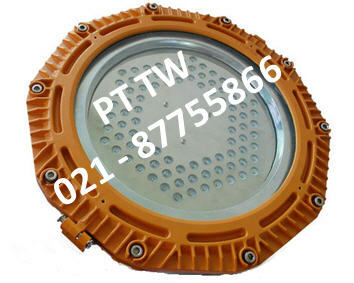 PT TUNAS WIRAJAYA, Telp 021 - 87755866, distributo, PT TUNAS WIRAJAYA distributor agen explosion proof led lighting, led lighting KHJ explosion proof, lampu explosionproof gasproof led 10 watt, lampu explosionproof led 15 watt, lampu explosion proof led 20 watt, lampu explosion proof led 25 watt, lampu explosion proof led 30 watt, lampu explosionproof led 40 watt, lampu explosionproof led 50 watt, lampu explosionproof led 60 watt, lampu explosionproof led 70 watt, lampu explosionproof led 80 watt, lampu explosionproof led 100 watt, lampu explosionproof led 120 watt, lampu explosionproof led 150 watt, lampu explosionproof led 160 watt, lampu explosionproof led 200 watt, lampu explosionproof led 240 watt, explosion proof floodlight led, lampu sorot led explosion proof, lampu gantung pendant led explosion proof, explosion proof ceiling led lampu, lampu portable led explosion proof, lampu explosion proof magnet portable, lampu kerja portable explosion proof, lampu portable tripot tripod explosion proof, explosion proof led working lamp magnet saturn KHJ 60 watt, explosion proof frog KHJ 120 watt, explosion proof led KHJ frog 150 watt, explosion proof led lighting KHJ Golden Frog 30 watt, PT TUNAS WIRAJAYA Distributor Explosion Proof LED Lighting Jakarta Indonesia Distributor Agen lampu Explosion Proof LED di Jakarta Indonesia 1. Explosion proof LED Lighting Golden Frog 30 Watt KHJ 2. Explosion proof LED Lighting Golden Frog 60 Watt KHJ 3. Explosion proof LED Lighting KHJ Lampu Frog 120 Watt 4. Explosion proof LED Lighting Frog series 150 Watt 5. Explosion proof LED Lighting Arowana 30 Watt 6. Lampu Explosion Proof LED KHJ Polarbear 80 Watt 7. Lampu Explosion Proof LED KHJ Polarbear 100 Watt 8. Lampu Explosion Proof LED KHJ Polarbear 120 Watt 9. Lampu Explosion Proof LED KHJ Polarbear 160 Watt 10. Lampu Explosion Proof LED KHJ Polarbear 200 Watt 11. Explosion Proof LED KHJ Lampu Polarbear 240 Watt 13. Lampu led explosion proof forrest frog30 watt KHJ 14. Lampu led explosion proof forrest frog 60 watt KHJ 15. Lampu led explosion proof forrest frog 45 watt KHJ 16. Lampu led explosion proof jelly fish 100 watt KHJ 17. Lampu led explosion proof sea anemone 480 watt KHJ 18. Lampu led explosion proof sea anemone 240 watt KHJ 19. Lampu explosion proof with tripod golden frog 60 watt 20. Lampu explosion proof led KHJ Swordfish 18 watt 21. Lampu explosion proof led KHJ Swordfish 36 watt 22. Lampu explosion proof led KHJ Swordfish 48 watt 23. Lampu explosion proof led KHJ Swordfish 72 watt 24. Lampu explosion proof led KHJ Brownbear 120 watt 25. Lampu explosion proof led KHJ Brownbear 150 watt 26. senter explosion proof led alcidae KHJ 27. senter explosion proof led hill mynaKHJ 28. senter explosion proof led magnet KHJ 29. senter explosion proof led saturn series magnet KHJ 30. distributor pemasaran explosion proof led lighting di Jakarta glodok kenari semarang balikpapan surabaya medan palembang jambi lampung cilacap sangatta banjarmasin bandung banten lombok bali cikarang cibitung batam dll. PT TUNAS WIRAJAYA distributor agen explosion proof led lighting, led lighting KHJ explosion proof, lampu explosionproof gasproof led 10 watt, lampu explosionproof led 15 watt, lampu explosion proof led 20 watt, lampu explosion proof led 25 watt, lampu explosion proof led 30 watt, lampu explosionproof led 40 watt, lampu explosionproof led 50 watt, lampu explosionproof led 60 watt, lampu explosionproof led 70 watt, lampu explosionproof led 80 watt, lampu explosionproof led 100 watt, lampu explosionproof led 120 watt, lampu explosionproof led 150 watt, lampu explosionproof led 160 watt, lampu explosionproof led 200 watt, lampu explosionproof led 240 watt, explosion proof floodlight led, lampu sorot led explosion proof, lampu gantung pendant led explosion proof, explosion proof ceiling led lampu, lampu portable led explosion proof, lampu explosion proof magnet portable, lampu kerja portable explosion proof, lampu portable tripot tripod explosion proof, explosion proof led working lamp magnet saturn KHJ 60 watt, explosion proof frog KHJ 120 watt, explosion proof led KHJ frog 150 watt, explosion proof led lighting KHJ Golden Frog 30 watt, PT TUNAS WIRAJAYA Distributor Explosion Proof LED Lighting Jakarta Indonesia Distributor Agen lampu Explosion Proof LED di Jakarta Indonesia 1. Explosion proof LED Lighting Golden Frog 30 Watt KHJ 2. Explosion proof LED Lighting Golden Frog 60 Watt KHJ 3. Explosion proof LED Lighting KHJ Lampu Frog 120 Watt 4. Explosion proof LED Lighting Frog series 150 Watt 5. Explosion proof LED Lighting Arowana 30 Watt 6. Lampu Explosion Proof LED KHJ Polarbear 80 Watt 7. Lampu Explosion Proof LED KHJ Polarbear 100 Watt 8. Lampu Explosion Proof LED KHJ Polarbear 120 Watt 9. Lampu Explosion Proof LED KHJ Polarbear 160 Watt 10. Lampu Explosion Proof LED KHJ Polarbear 200 Watt 11. Explosion Proof LED KHJ Lampu Polarbear 240 Watt 13. Lampu led explosion proof forrest frog30 watt KHJ 14. Lampu led explosion proof forrest frog 60 watt KHJ 15. Lampu led explosion proof forrest frog 45 watt KHJ 16. Lampu led explosion proof jelly fish 100 watt KHJ 17. Lampu led explosion proof sea anemone 480 watt KHJ 18. Lampu led explosion proof sea anemone 240 watt KHJ 19. Lampu explosion proof with tripod golden frog 60 watt 20. Lampu explosion proof led KHJ Swordfish 18 watt 21. Lampu explosion proof led KHJ Swordfish 36 watt 22. Lampu explosion proof led KHJ Swordfish 48 watt 23. Lampu explosion proof led KHJ Swordfish 72 watt 24. Lampu explosion proof led KHJ Brownbear 120 watt 25. Lampu explosion proof led KHJ Brownbear 150 watt 26. senter explosion proof led alcidae KHJ 27. senter explosion proof led hill mynaKHJ 28. senter explosion proof led magnet KHJ 29. senter explosion proof led saturn series magnet KHJ 30. distributor pemasaran explosion proof led lighting di Jakarta glodok kenari semarang balikpapan surabaya medan palembang jambi lampung cilacap sangatta banjarmasin bandung banten lombok bali cikarang cibitung batam dll. PT TUNAS WIRAJAYA distributor agen explosion proof led lighting, led lighting KHJ explosion proof, lampu explosionproof gasproof led 10 watt, lampu explosionproof led 15 watt, lampu explosion proof led 20 watt, lampu explosion proof led 25 watt, lampu explosion proof led 30 watt, lampu explosionproof led 40 watt, lampu explosionproof led 50 watt, lampu explosionproof led 60 watt, lampu explosionproof led 70 watt, lampu explosionproof led 80 watt, lampu explosionproof led 100 watt, lampu explosionproof led 120 watt, lampu explosionproof led 150 watt, lampu explosionproof led 160 watt, lampu explosionproof led 200 watt, lampu explosionproof led 240 watt, explosion proof floodlight led, lampu sorot led explosion proof, lampu gantung pendant led explosion proof, explosion proof ceiling led lampu, lampu portable led explosion proof, lampu explosion proof magnet portable, lampu kerja portable explosion proof, lampu portable tripot tripod explosion proof, explosion proof led working lamp magnet saturn KHJ 60 watt, explosion proof frog KHJ 120 watt, explosion proof led KHJ frog 150 watt, explosion proof led lighting KHJ Golden Frog 30 watt, PT TUNAS WIRAJAYA Distributor Explosion Proof LED Lighting Jakarta Indonesia Distributor Agen lampu Explosion Proof LED di Jakarta Indonesia 1. Explosion proof LED Lighting Golden Frog 30 Watt KHJ 2. Explosion proof LED Lighting Golden Frog 60 Watt KHJ 3. Explosion proof LED Lighting KHJ Lampu Frog 120 Watt 4. Explosion proof LED Lighting Frog series 150 Watt 5. Explosion proof LED Lighting Arowana 30 Watt 6. Lampu Explosion Proof LED KHJ Polarbear 80 Watt 7. Lampu Explosion Proof LED KHJ Polarbear 100 Watt 8. Lampu Explosion Proof LED KHJ Polarbear 120 Watt 9. Lampu Explosion Proof LED KHJ Polarbear 160 Watt 10. Lampu Explosion Proof LED KHJ Polarbear 200 Watt 11. Explosion Proof LED KHJ Lampu Polarbear 240 Watt 13. Lampu led explosion proof forrest frog30 watt KHJ 14. Lampu led explosion proof forrest frog 60 watt KHJ 15. Lampu led explosion proof forrest frog 45 watt KHJ 16. Lampu led explosion proof jelly fish 100 watt KHJ 17. Lampu led explosion proof sea anemone 480 watt KHJ 18. Lampu led explosion proof sea anemone 240 watt KHJ 19. Lampu explosion proof with tripod golden frog 60 watt 20. Lampu explosion proof led KHJ Swordfish 18 watt 21. Lampu explosion proof led KHJ Swordfish 36 watt 22. Lampu explosion proof led KHJ Swordfish 48 watt 23. Lampu explosion proof led KHJ Swordfish 72 watt 24. Lampu explosion proof led KHJ Brownbear 120 watt 25. Lampu explosion proof led KHJ Brownbear 150 watt 26. senter explosion proof led alcidae KHJ 27. senter explosion proof led hill mynaKHJ 28. senter explosion proof led magnet KHJ 29. senter explosion proof led saturn series magnet KHJ 30. distributor pemasaran explosion proof led lighting di Jakarta glodok kenari semarang balikpapan surabaya medan palembang jambi lampung cilacap sangatta banjarmasin bandung banten lombok bali cikarang cibitung batam dll. Distributor lampu led explosion proof di Indonesia, lampu led explosion proof indonesia, distributor lampu led explosion proof di jakarta, explosion proof lampu led jakarta, Distributor lampu jalan led explosion proof di indonesia, lampu jalan led explosion proof Indonesia, distributor lampu jalan led explosion proof di jakarta, lampu jalan led explosion proof jakarta, Distributor led lighting explosion proof di indonesia, led lighting explosion proof indonesia, distributor led lighting explosion proof di jakarta, led lighting explosion proof jakarta, Distributor led floodlight explosion proof di Indonesia, led floodlight explosion proof indonesia, distributor led floodlight di jakarta, led floodlight explosion proof jakarta. Distributor lampu led explosion proof di Indonesia, lampu led explosion proof indonesia, distributor lampu led explosion proof di jakarta, explosion proof lampu led jakarta, Distributor lampu jalan led explosion proof di indonesia, lampu jalan led explosion proof Indonesia, distributor lampu jalan led explosion proof di jakarta, lampu jalan led explosion proof jakarta, Distributor led lighting explosion proof di indonesia, led lighting explosion proof indonesia, distributor led lighting explosion proof di jakarta, led lighting explosion proof jakarta, Distributor led floodlight explosion proof di Indonesia, led floodlight explosion proof indonesia, distributor led floodlight di jakarta, led floodlight explosion proof jakarta. Distributor lampu led explosion proof di Indonesia, lampu led explosion proof indonesia, distributor lampu led explosion proof di jakarta, explosion proof lampu led jakarta, Distributor lampu jalan led explosion proof di indonesia, lampu jalan led explosion proof Indonesia, distributor lampu jalan led explosion proof di jakarta, lampu jalan led explosion proof jakarta, Distributor led lighting explosion proof di indonesia, led lighting explosion proof indonesia, distributor led lighting explosion proof di jakarta, led lighting explosion proof jakarta, Distributor led floodlight explosion proof di Indonesia, led floodlight explosion proof indonesia, distributor led floodlight di jakarta, led floodlight explosion proof jakarta. lampu led explosion proof indonesia, lampu led explosion proof, jual lampu led explosion proof. lampu led explosion proof indonesia, lampu led explosion proof, jual lampu led explosion proof. lampu led explosion proof indonesia, lampu led explosion proof, jual lampu led explosion proof. efficiency more light where you need it. 4. Osram led source. High efficiency lumen output and high CRI. Petroleum Industry, Crude Oil Treatment Industry, Metallurgical Industry, Power Generation Industry, Power Transmission Industry, Railway Industry, Public Security and Fire Fighting, Stadium Lighting, etc. Locations requiring continuous and consistent light levels in extreme ambient temperatures. Areas requiring frequent on and off of lights. Where flammable vapors, gases, ignitable dusts, fibers or flyings are present; indoors or outdoors..
Where extremely corrosive, wet, dusty, hot and cold conditions exist. Marine, wet locations and hose down environments. Manufacturing plants, heavy industrial, chemical, Crude Oil Treatment, pharmaceutical facilities, platforms, loading docks, tunnels, outdoor wall and stanchion mounted general area lighting.